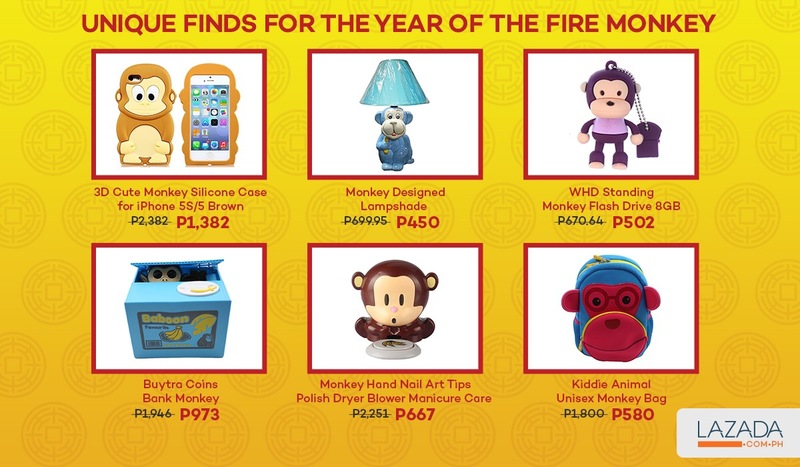 I love it when Lazada celebrates a milestone. 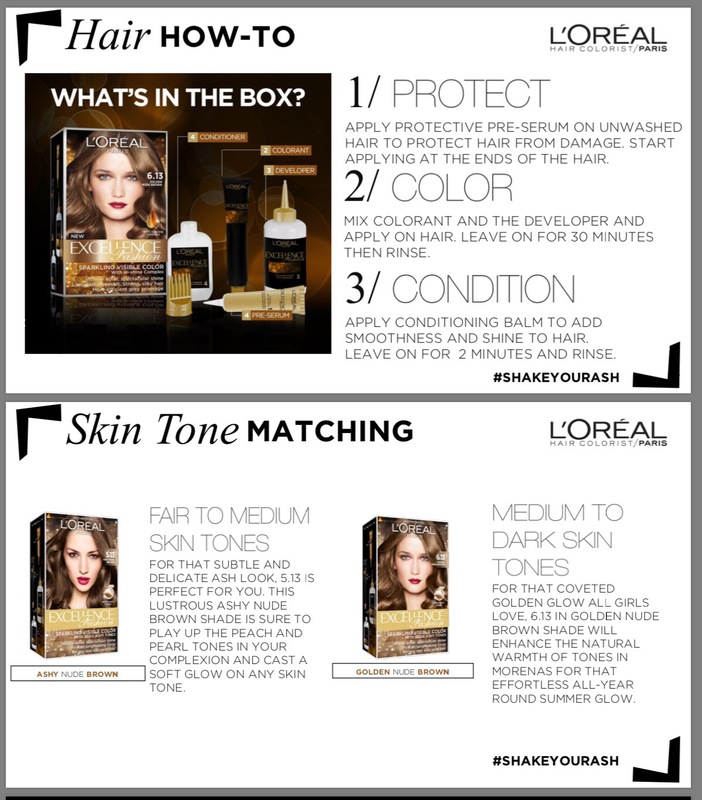 It’s because — more often than not — their well-loved Box of Joy will be on hand as a staple treat to its affiliate bloggers. 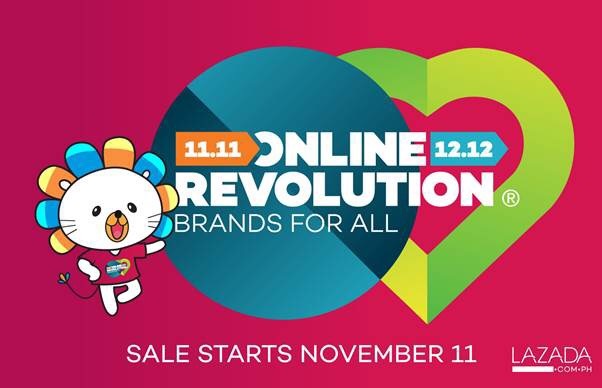 It initially started back in 2016 for the yearly Online Revolution and this year’sBirthday Sale saw the comeback of the Box of Joy. Previously, the contents of the box are primarily goods from the FMCG sector. While this year’s Box of Joy is still dominated by FMCG, we’re already seeing new additions from categories such as watches, and electronics accessories. 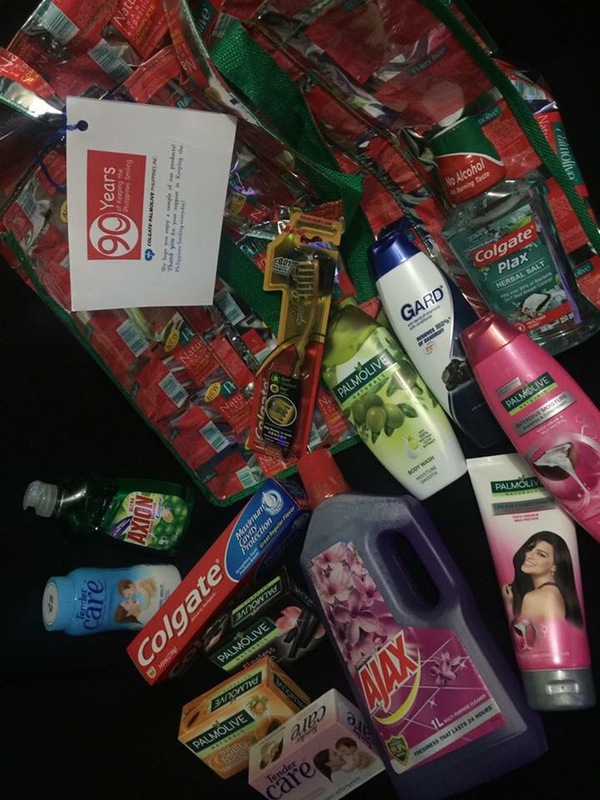 Colgate and Palmolive, the beloved Filipino institution in consumer goods, have been supporting the Box of Joy since the beginning and this year is no exception. This year’s ColPal haul includes Colgate Maximum Cavity Protection Great Regular Flavor Anti-Cavity Family Toothpaste, Plax Ice Infinity, Palmolive Aloe Vera Shampoo & Conditioner, Palmolive Naturals Body Wash,Palmolive Naturals WHITE + MILK soap, Gard Charcoal Shampoo, and Tender Care Talk Pink Soft. Colgate is also launching a scholarship promo starting April 3 for its Colgate Maximum Cavity Protection Great Regular Flavor Anti-Cavity Family Toothpaste and there will be 2,500 winners of scholarships, and other prizes once the promo ends. 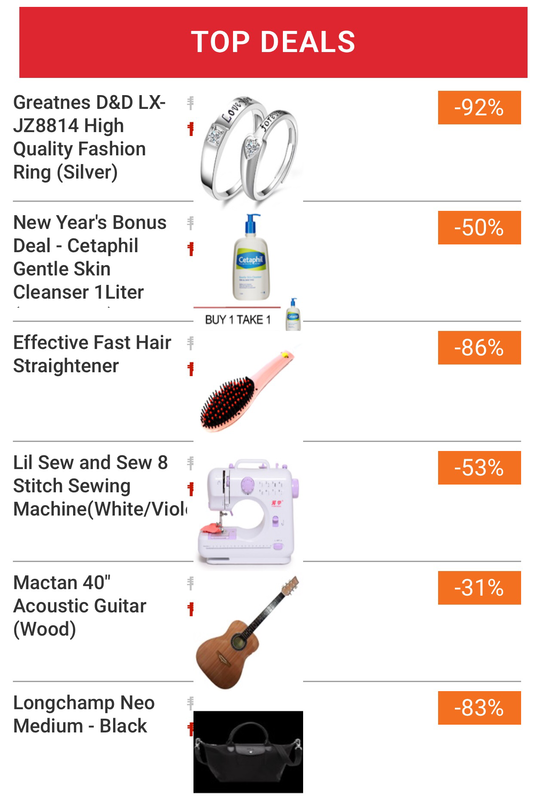 If you ask me, Lazada’s Fifth Birthday Sale is always a good idea to stock up on home essentials, considering premium brands can be had at big discounts. 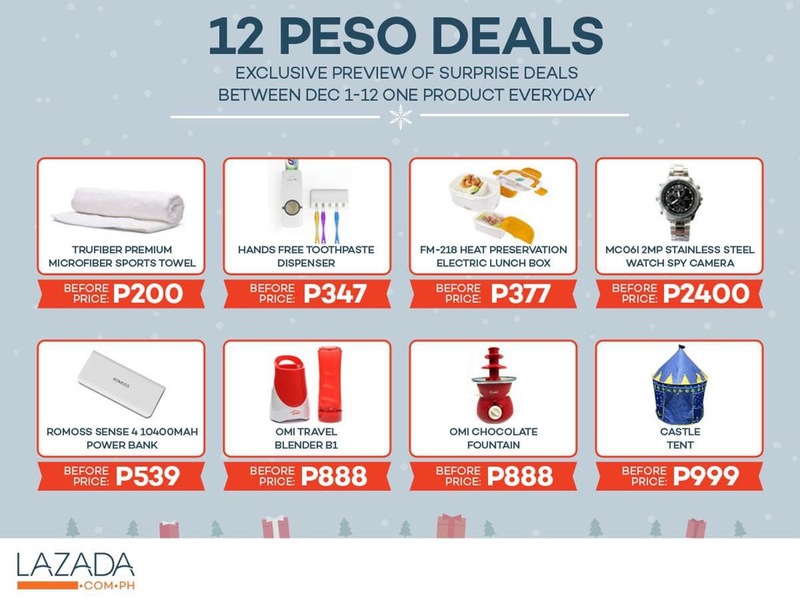 If you are on the look out for budget-friendly gadget accessories, it’s always a good idea to drop by Lazada . Merchant Sunsonic Electronic Plaza has given away an Awei Micro USB Cable for Smartphones and merchant Anything Under the Sun gave away classic and trendyTempus watches. 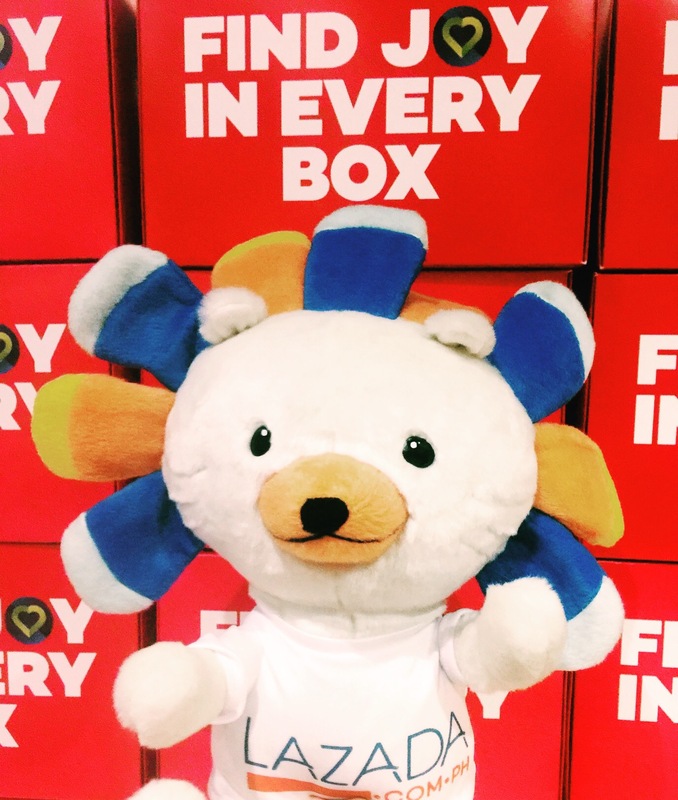 Hopefully with Lazada’s ever-growing partners base, more and more brands and merchants will support the Box of Joy project in the future. Who would have thought that well-loved brand Colgate-Palmolive is now 90 years old? 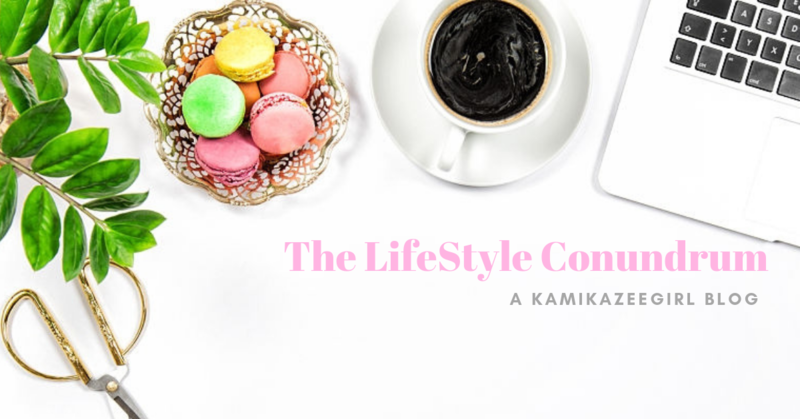 The ubiquitous brand has been in every Filipino household for close to a century providing every need for oral care, personal care and home care with recognized brands like Palmolive, Tender Care, Axion and Ajax. It’s storied history is one for the books. Established in 1926 in a small office in Binondo with five employees, the initial products sold during that time where brands Pompeia cosmetics, Octagon laundry and Crystal White laundry bar. 1928 saw the office merging with Peet Brothers and the Colgate Company. 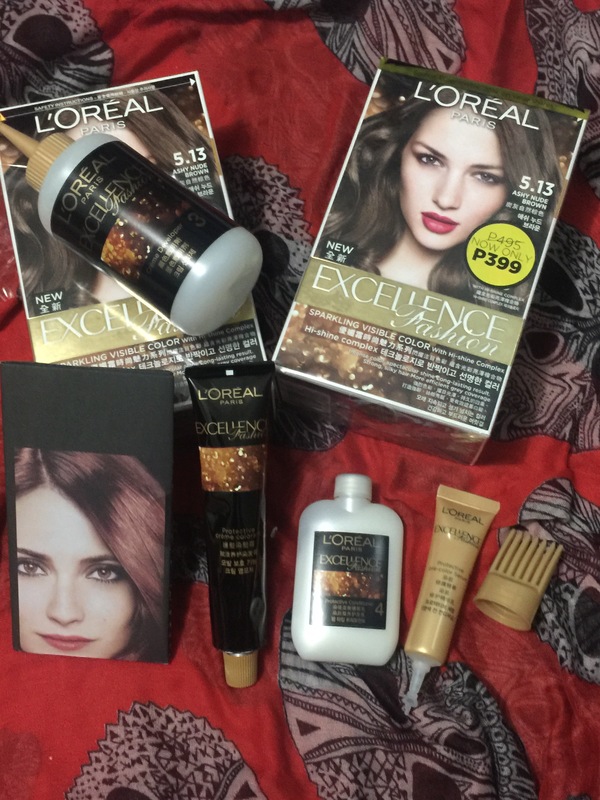 Popular products such as Colgate Ribbon dental cream and Cashmere Bouquet toiletries were added, along with Palmolive Soaps, which pushes its growth in the next few years. 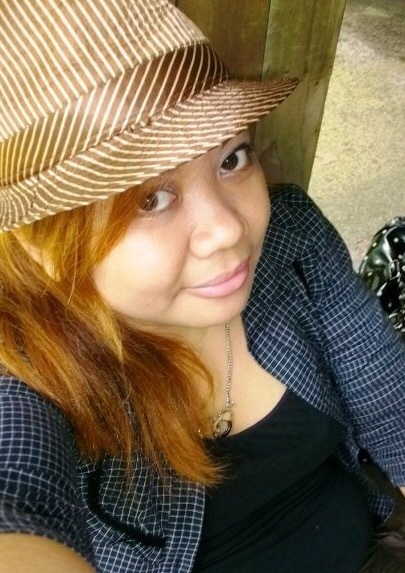 Products were delivered to stores by Carabao or horse-drawn carts. In 1941, the office and warehouse was looted by invading soldiers. In spite of this, loyal employees managed to manually copy all entries of the company’s ledgers, writing word-for-word all entries for over a week. This gave the company the opportunity to collect receivables from insurance after the war has ended. In 1949, the company was incorporated as Colgate-Palmolive Philippines. The same year, Ajax was also introduced to the market. Colgate-Palmolive, more often than not, produced memorable TV commercials and campaigns. They were also the first to advertise in color in 1966, when local TV advertising switched from black-and-white to color. 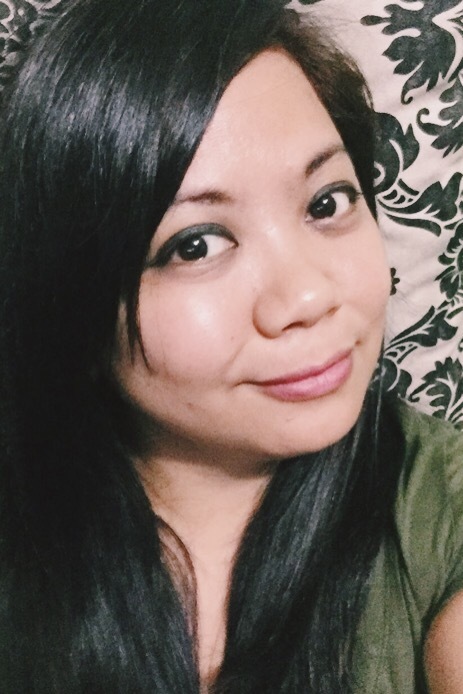 Ask any Pinoy over the age of 30, and they will remember Alice Dixson’s “I Can Feel It” for Palmolive Naturals, which proceeded to win a Pilak Award na cemented its place as one of the best Philippine ads in the last 50 years. In 2007, Colgate’s Super Mega Brushing campaign earned a Guinness World Record for the most number of children (41,000 to be exact!) brushing their teeth at the same time. 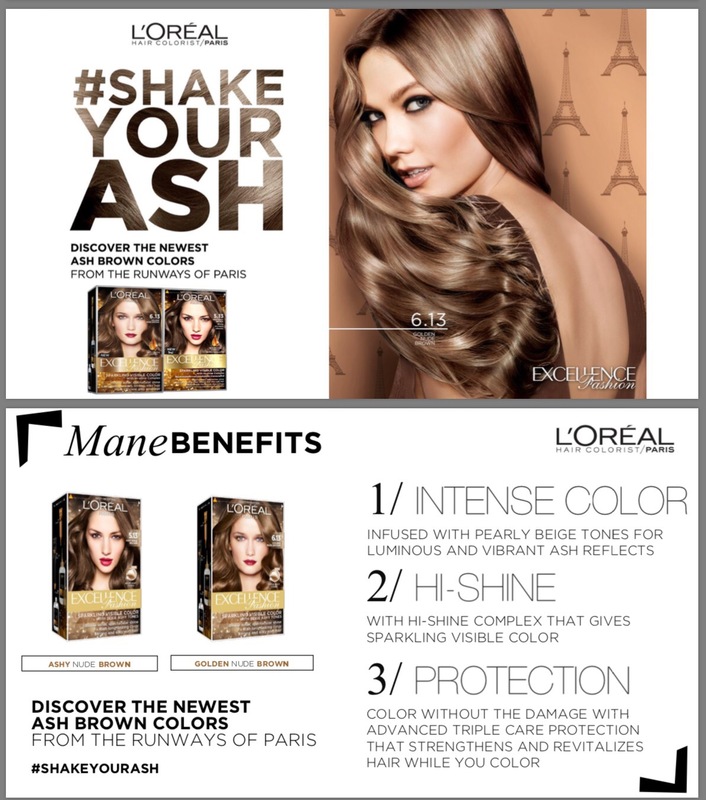 In the age of YouTube and Millennials, their Palmolive Naturals “Bounce” music video featuring Julia Barretto, Janella Salvador and Liza Soberano is considered one of the top 10 performing ads of 2015. One of the company’s core values is caring for the communities where it’s present. The Colgate Bright Smiles, Bright Futures program has been supporting oral health education across the country with free dental screenings and tooth-brushing drills, distribution of oral care kits and integrating oral health education materials with Kinder and Grade 1 curricula. This was made possible by the company’a partnership with the Department of Education for nearly two decades. Other programs include Kabarangay sa Dental Health Program, in partnership with the Philippine Dental Association, which raises awareness all over the country through free dental check-ups and product sampling. 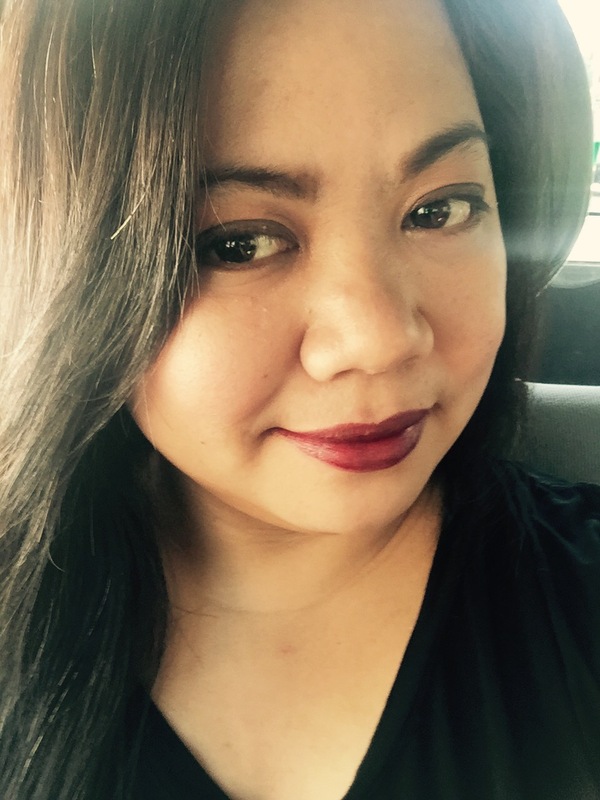 To celebrate its 90th anniversary, Colgate-Palmolive partnered when Puregold in support of Operation Smile Philippines, an NGO focused on providing free surgeries to indigent children afflicted with cleft lips/palate. They also partnered with Robinsons Supermarket in support of World Vision Philippines. 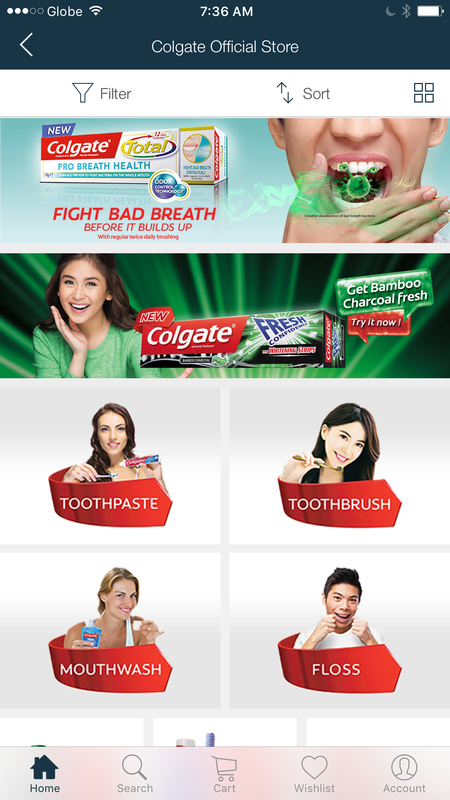 Currently, Colgate remains the Oral Care brand trusted by dentists while Palmolive remains the number one personal care brand in the Philippines. You can buy your favorite Colgate-Palmolive at the convenience of your own home. 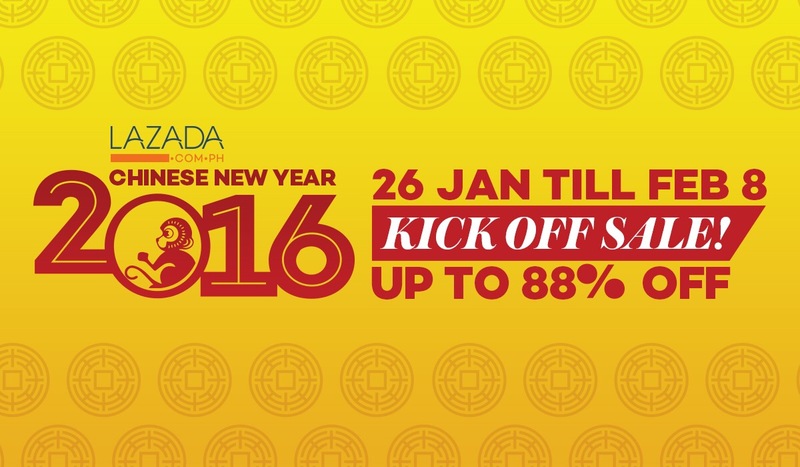 Just head to Lazada start clicking away! Mobile phones used to be just phones – something to use to make and take calls. And then text messaging happened; in phone camera, and then the wonderful world of apps. Suddenly, phones weren’t just mobile phones. 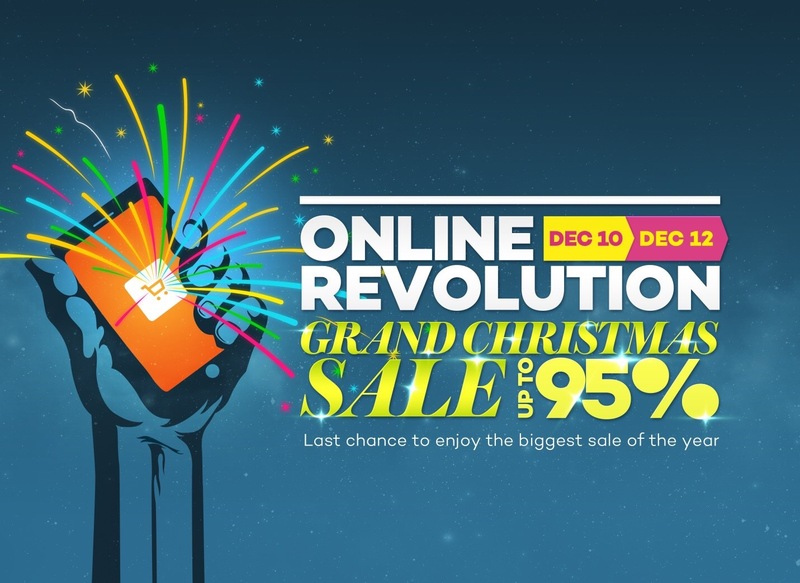 They had to be smartphones: tiny, mean machines fitting the palm of your hand and with the power to arrange schedules, take breath taking photos, stream films and video, connect to the World Wide Web and yes, take calls and send SMS. There are many smartphones out in the market today: a mix of stylish, efficient ones with high price tags or the occasional cheap phone, with swanky design but wonky and inferior internals. Elephone, one of the emerging smartphone brands from Hong Kong, melds a beautiful balance of form and function. What’s even better, this well-reviewed smartphone brand is now in Manila via Lazada Philippines. 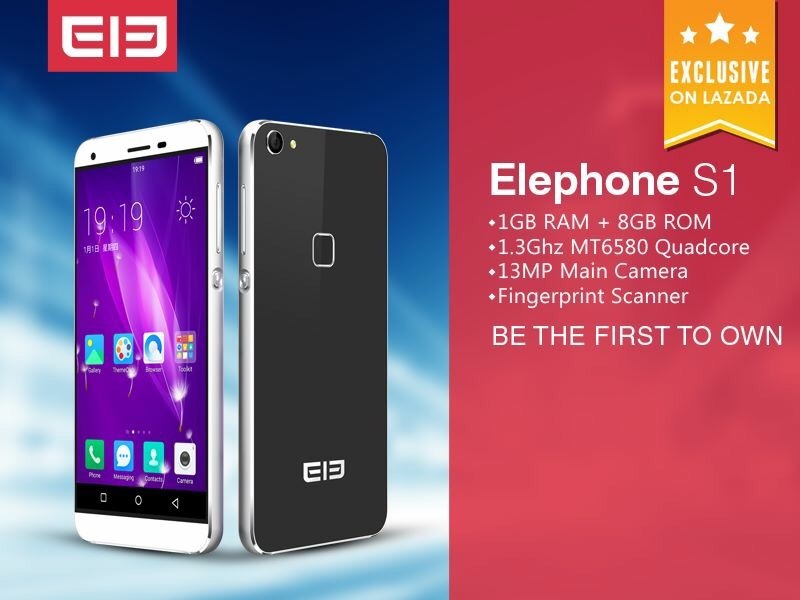 Innovative and user-friendly, superior in quality and performance, elegant in design and great value for money – these best describes an Elephone smart phone. 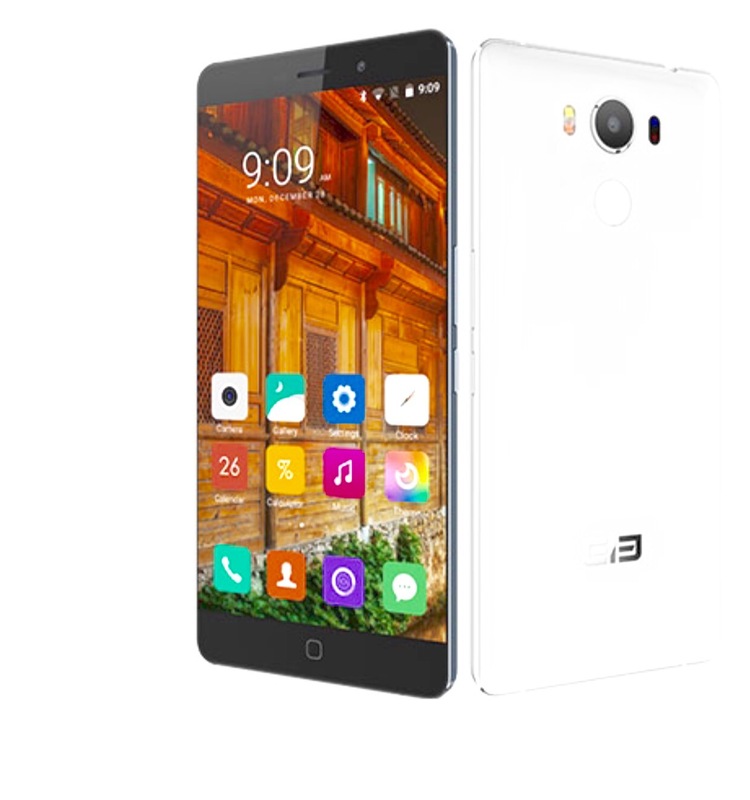 Following years of development and innovation, Elephone has gained a very strong following and great reviews in Europe and Southeast Asia. 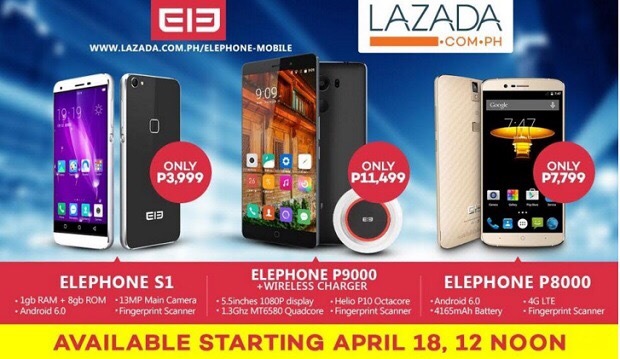 Filipinos can now get their hands on an Elephone after the brand entered into a partnership with the Philippines’ number one online marketplace, Lazada Philippines. 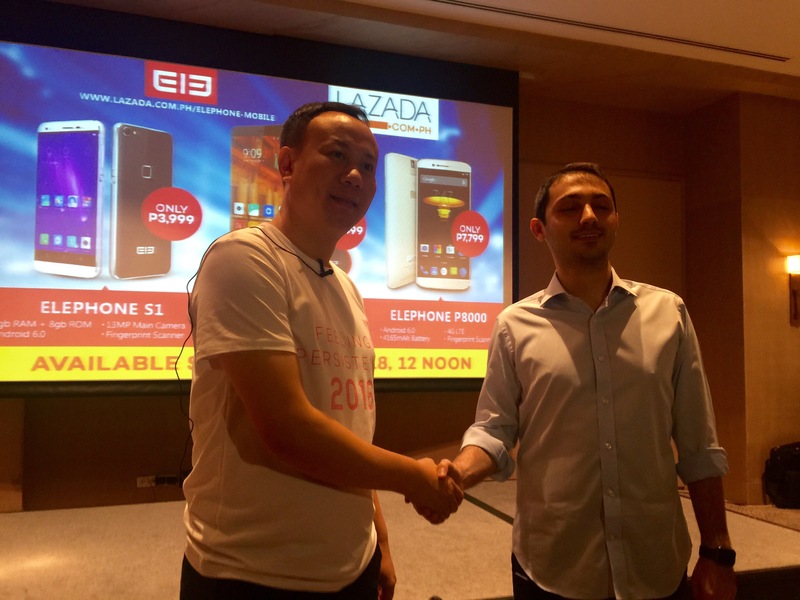 Lazada will serve as the exclusive distributor of Elephone in the country. For the sophisticated user there the P9000 – boasting exquisite craftsmanship and superior performance at an affordable price. The P9000 retails for only PHP11,499 and features 1.6mm narrow bezel vision, a 5.5inch display screen with 1920 X 1080 resolution and wireless charging capability. For those who want to balance form and function with a lower price tag – the P8000 has a 5.5 full HD screen and with fingerprint scanner. 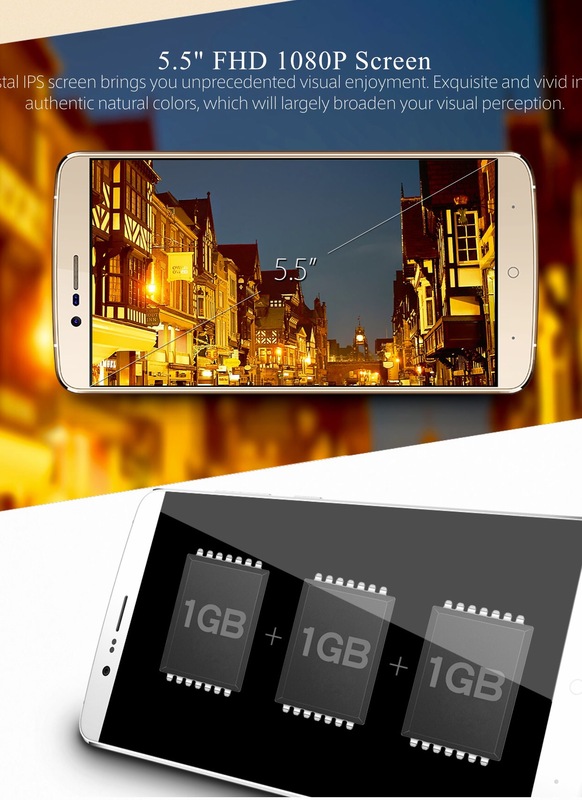 The P8000 contains a 3GB RAM, 16gb ROM and runs on Androir 5.1OS. For the minimalist with the discerning taste, Elephone has the S1 – designed for minimalists with an eye for perfection, the S1 boasts of double-sided glass and metal framing, a 5.0 HD Screen display and a 720o HD display. 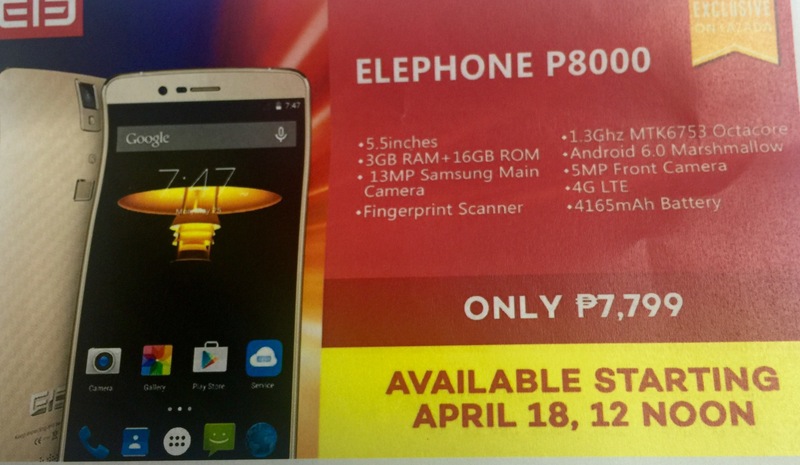 Elephone smartphones will start to go on sale on April 18, 12NN. 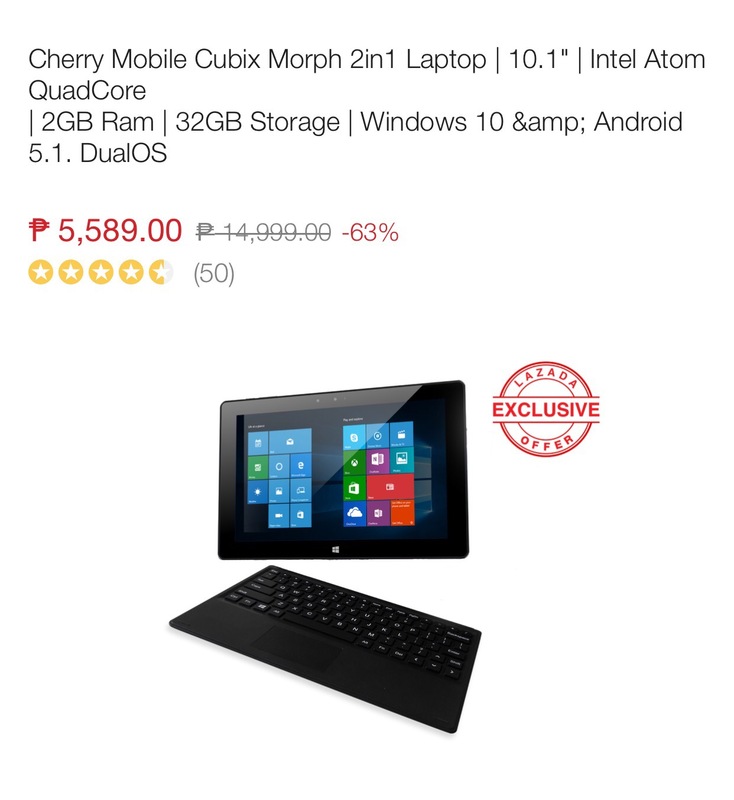 Be one of the first to get their hands on the unit – head on to www.lazada.com.ph. 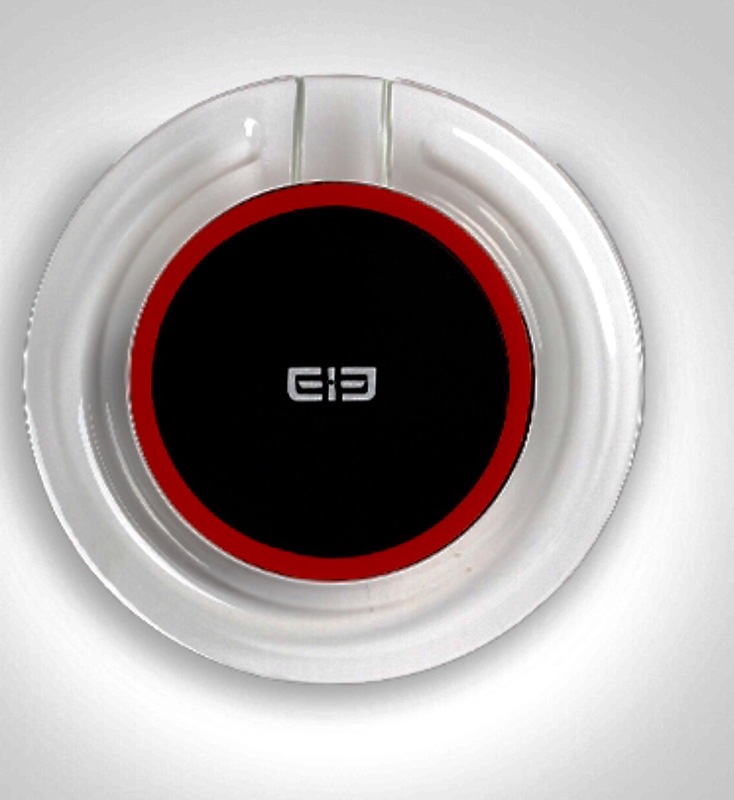 To know more about Elephones and their products, go to www.elephone.hk.